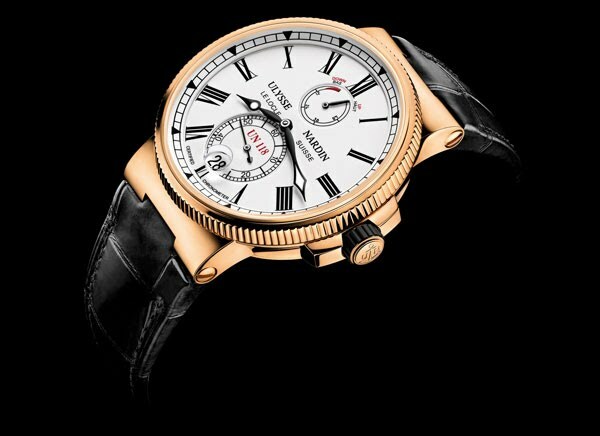 Ulysse Nardin sailing independent ways - unites Art and Precision with Enamel and UN-118 Caliber . Since the spark of international trade in the late 19th century, Ulysse Nardin has been crafting marine chronometers, keeping captains and their valued cargo precisely on course. Advanced since its first introduction in 2011, the UN-118 caliber is powering the artfully designed 2012 Marine Chronometer Manufacture. An expanded 45 mm diameter case and a new crown design for easy handling, complete with a rubber notch for comfortable winding, are not the only progressions made to the coveted Marine Chronometer. Gracing the collection’s latest addition is its beautifully handcrafted enamel dial produced by Donzé Cadrans, the world-recognized enamel-dial specialist and the latest member of the Ulysse Nardin group of companies. A refined and complex decorative technique, the mastery of enamelling depends upon both the personal sensitivity and daily practice of the artist. It is a centuries-old craft that continues to make its stunning mark on Ulysse Nardin timepieces. For the Marine Chronometer dial, the aesthetic is a bright, snow white offset by black Roman numerals and bold accents of cherry red, presenting a style that is simultaneously straight-forward and interesting. Its 18-karat rose-gold bevelled case enhances the timepiece’s sophistication. Further illustrating Ulysse Nardin’s imagination in watch making is the UN-118 caliber, the manufacture’s self-winding base caliber conceived and executed entirely in-house, and now offered in the Marine Chronometer Manufacture. This caliber continues the advancement of Ulysse Nardin’s use of new materials and techniques. The Marine Chronometer Manufacture will be available in a limited edition of 350 pieces in 18-karat rose gold, and an unlimited edition of two-tone titanium case with gold bezel and gold crown, as well as an all stainless-steel/titanium case.